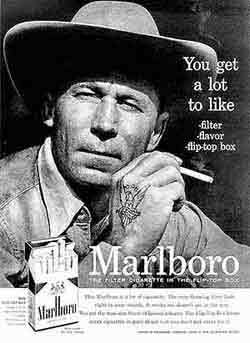 1954 First Marlboro Man commercial | What happened in…. This entry was posted in 1954 and tagged filtered cigarettes, Leo Burnett, Leo Burnett Worldwide, marlboro, Marlboro advertising campaign, Marlboro cigarettes, tobacco advertising campaign by Mike Hermes. Bookmark the permalink.